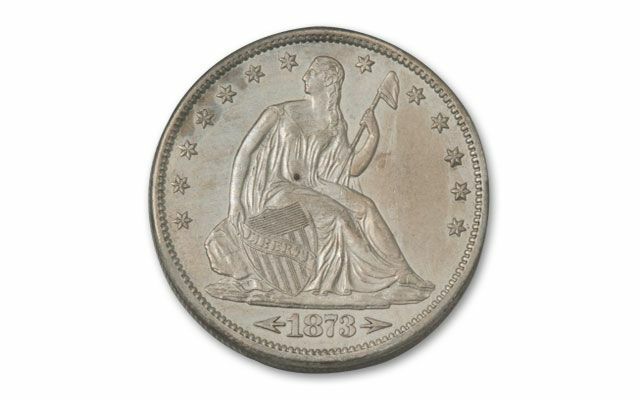 In 1839, the U.S Mint began striking a new silver Half Dollar showing Miss Liberty Seated, holding a shield and a Liberty Cap on a pole. 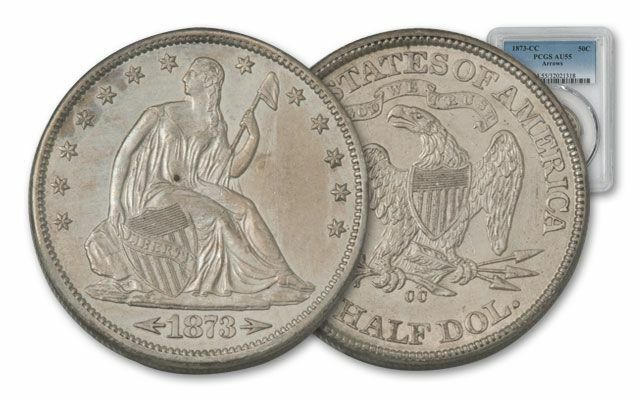 These impressive coins are known as Seated Liberty Half Dollars, and were minted all the way up to 1891. For a few short years, a small number were made at the fabled Carson City, Nevada Mint from Comstock Lode Silver. For only two of these years (1873 and 1874), the design was changed to show an arrow on both sides of the date. These Carson City Arrow Half Dollars are incredibly scarce and sought after by collectors. 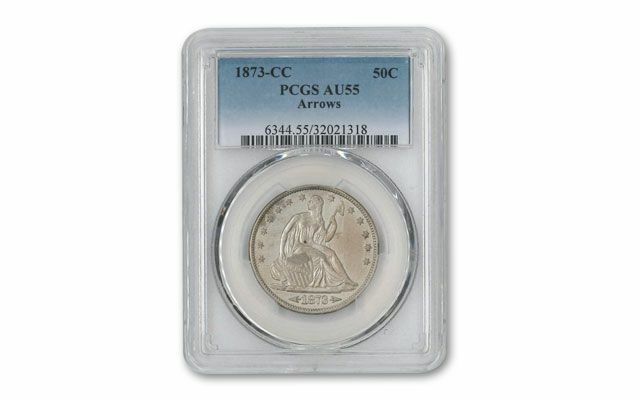 We've located an example from 1873 graded About Uncirculated-55 (AU55) by Professional Coin Grading Service (PCGS). 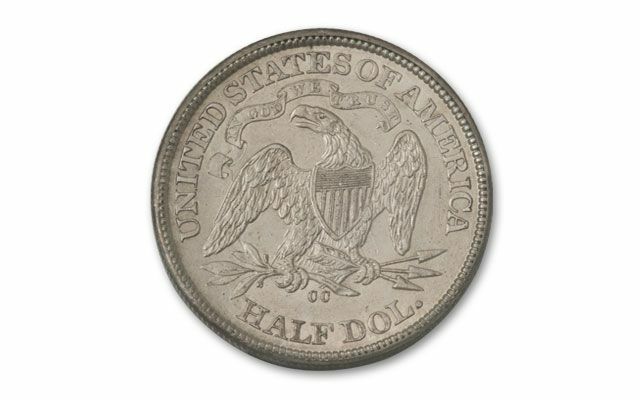 Add this 'key date' Half Dollar to your collection today!